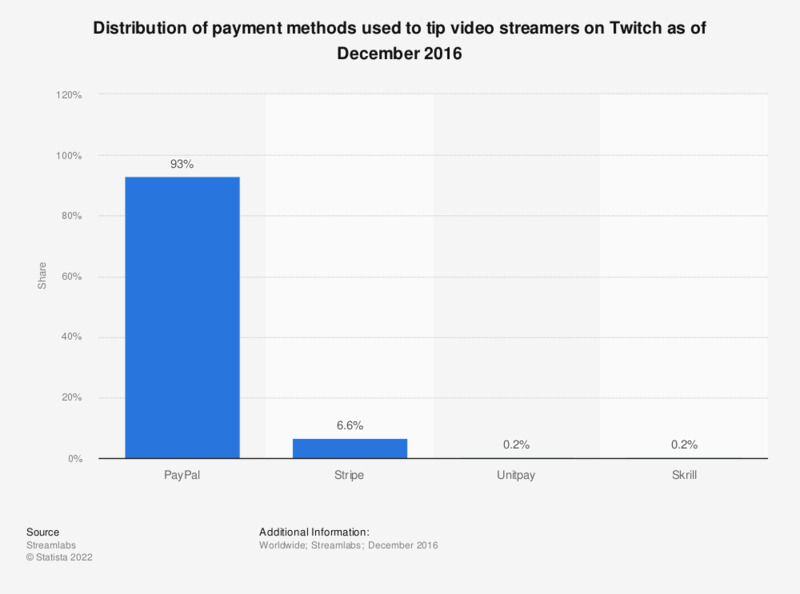 The statistic shows the distribution of payment methods used to tip video streamers on Twitch as of December 2016. Certain gaming content broadcasters rely on tipping as a source of income. According to the source, 93 percent of such tips were processed via PayPal in the measured period. The source provides the following information on the methodology: "This report applies only to individual streamers and not to Esports teams or organizations. It does not include data from other streaming platforms such as YouTube Live or Beam. "